Do you ever circle the neighborhood with a client looking for parking in Houston? It might not be the best selling point for a new buyer or renter. For a lot of people, one of the most important components of finding the perfect home is finding one with available parking. Even in Houston, the price and availability of parking could make all the difference in the world. 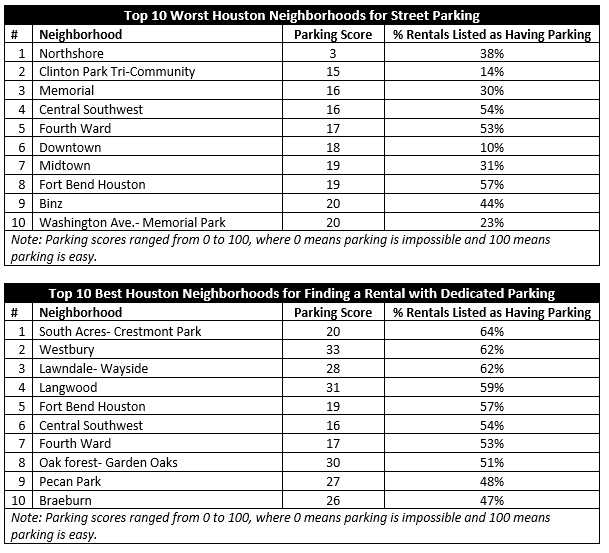 According to the report, Northshore is the worst Houston neighborhood for street parking, with a score of 3. South Acres-Crestmont Park and Westbury are the best neighborhoods for parking. In San Francisco, locals can purchase a parking permit for $111 annually, which gives them priority for neighborhood spots. Trulia and Parknav used street-level information to calculate scores by neighborhood. 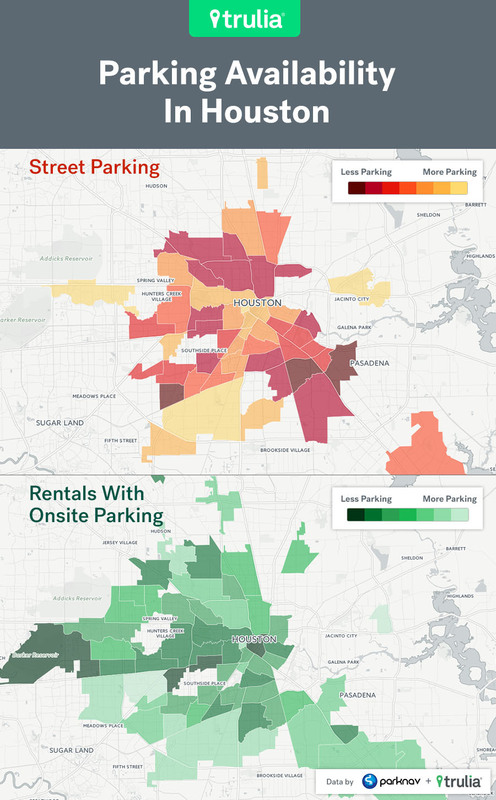 The interactive maps show the chances of finding a street parking spot in Houston.